Greetings to those of you who are just discovering me and my cookbooks. I also welcome my loyal fans, who have followed my career. I love hearing from my readers and respond to all emails. So click on “Contact Paulette” to send me a message. It’s October, 2008 and I have an exciting announcement. 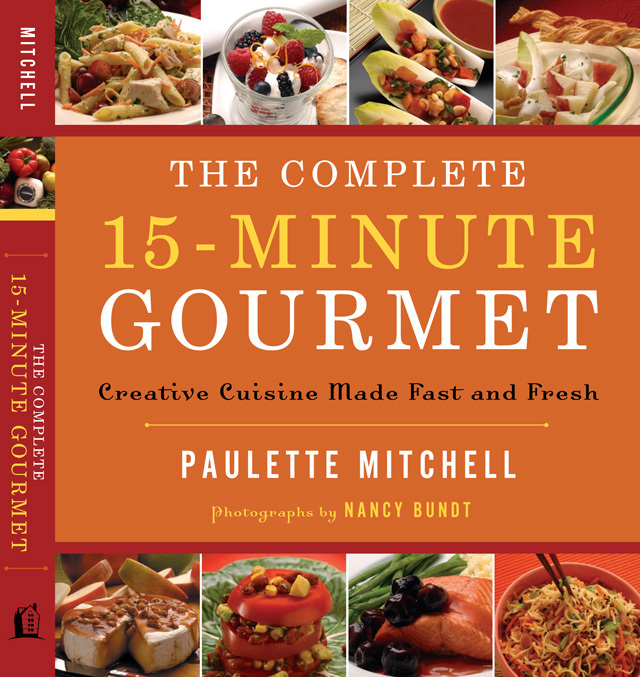 I invite you to take a look at my most recently published cookbook, The Complete 15-Minute Gourmet: Creative Cuisine Made Fast and Fresh. It’s arriving in bookstores around the world now. This is the 13th cookbook I have authored, and it contains 350 recipes for both hungry families and for discriminating guests. The dishes can be prepared quickly and easily, and I guarantee they are delicious. But there’s no need to spend hours preparing meals. Through my world travels, I’ve found that nearly every cuisine offers some delicious dishes that are quick to prepare. And that has been the inspiration for this book. You’ll be astonished at what’s possible. In just 15 minutes you could be feasting on traditional favorites such as Modern Mom’s Chicken Noodle Soup or on international dishes such as Soba Noodle and Steak Salad or Greek Snapper with Feta Cheese. Bookmark my website and plan to visit often. Every Friday, I’ll post new entries, including recipes from The Complete 15-Minute Gourmet cookbook. I’ll also share my favorite tips for 15-Minute cooking at its best. And on my Travel Scrapbook page, I’ll post photos of my travels. 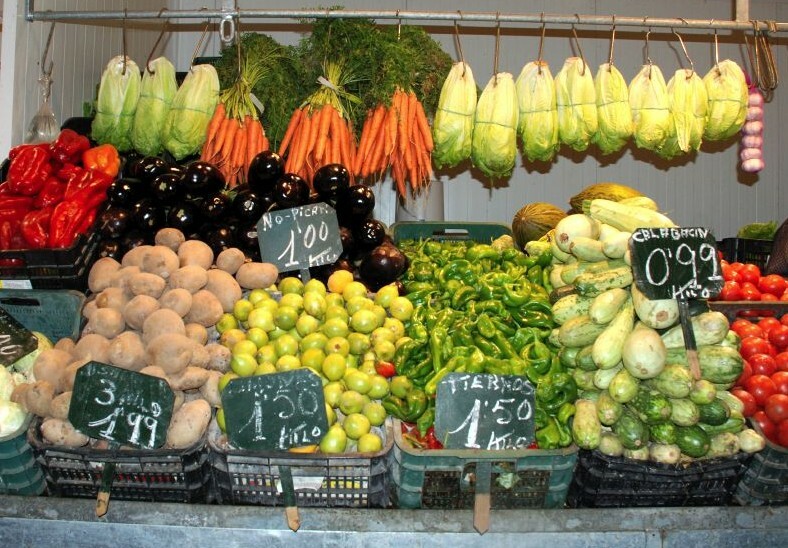 I especially enjoy visiting food markets, and soon you’ll see one of my favorites in Venice, Italy. This weekend, enjoy Jamaican Chicken with Black Beans, one of my favorite recipes from The Complete 15-Minute Gourmet. The inspiration is Caribbean, but it’s colorful, aromatic, and just perfect for serving your family on a cool fall evening.